Belgian curator Jan Hoet curated the first site-specific installation exhibition in the world. In 1986, he invited dozens of artists to Ghent, Belgium. The artists were asked to stay with local residents in their houses, in which they dined and created artworks. When the exhibition opened, visitors were invited to follow a map to visit the houses one by one. It caused quite a sensation in the contemporary art scene at that time. 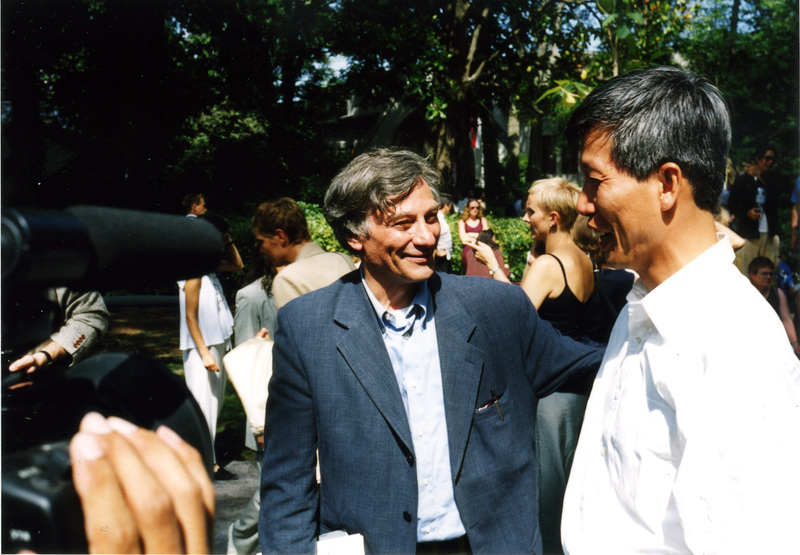 Jan used to be an artist when he was young, and was elected to represent Belgium to participate in the “青年双年展” hosted by Centre Pompidou. When he was on his way back to Ghent on a train after the site visit to Paris, for hours he could not think of any interesting ideas, and he felt he lacked the talent to be an artist. That was when he figured he should change his career, and decided to become a curator. In Ghent, there was a big casino in the park. Jan wanted to transform it into a contemporary art museum. For quite some time, the Chamber of Representatives did not approve this proposal, because the casino played a significant role in the city’s economy. Later on, Jan ran for Chamber of Representative. During his campaign, I saw his portrait printed on garbage trucks in the city. Finally, he was elected. At the chamber’s meeting, he said, “If you don’t agree with my proposal, I will reject everyone’s.” Therefore, the representatives voted yes, and Jan’s bill was passed. The casino was transformed into a museum. Immediately after the bill passed, Jan resigned. Jan and I collaborated with each other on nine occasions. The first one was in 1995 in Aoyama, Tokyo. I was still living in Japan then. Jan invited a lot of established artists to create artworks for the show. The site that I was interested in was a kindergarten; however, he wanted to assign it to another artist. We argued about it. I explained my concept to him: “My idea is to create a bamboo bridge from the kindergarten, the bridge will cross the wall and arrive at Aoyoma Cemetery on the other side.” Jan’s concern was that bridge might not look like an ‘artwork’ (or would not be artistic enough). He was also worried that using kindergarten might interfere with the artwork of the artists he liked. Jan came to inspect the bridge when it was complete; we both walked on the unstable structure. All of a sudden he happily patted my shoulder, saying “Good, good good.” The unstable bridge eased his unsettledness. In this way, he felt the strengths and tension in art. When Jan turned sixty in 1996, he invited me to Ghent to create a piece that would be acquired by S.M.A.K: Stedelijk Museum Voor Actuele Kunst. 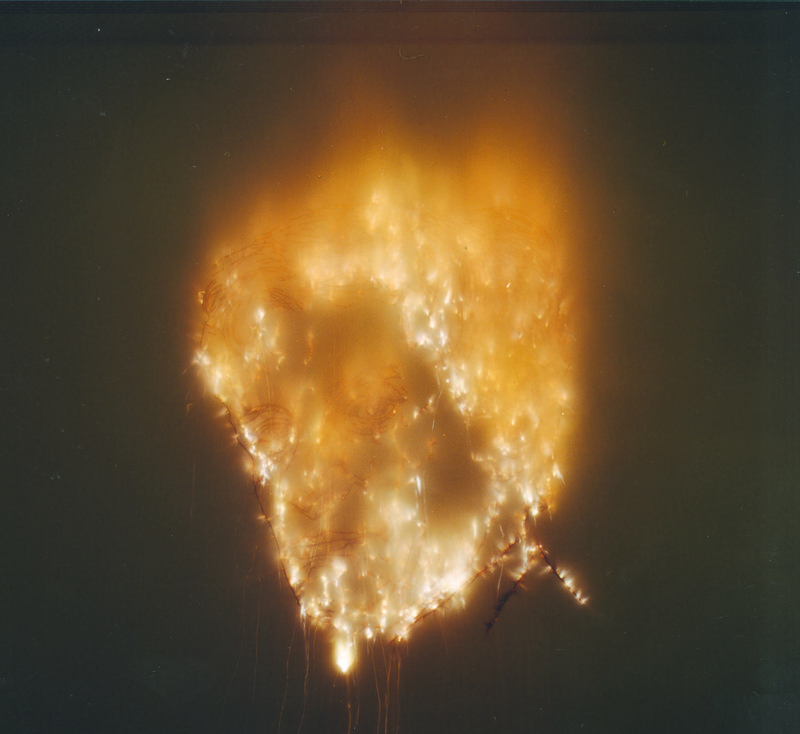 I suggested that I would explode a piece on the wall, inside the museum’s storage space. Jan got very excited about it, and understood that I was causing him trouble; the work would be collected by the museum, but the visitors would never be able to see it. After the work was exploded on the wall, I asked him to sign the contract in front of everyone, and agree to acquire the piece. I exploded a dinosaur on the wall, naming the work: Dragon Skeleton/Suture of the Wall—True Collection (1996). Men like collecting dinosaurs; museums around the world collect fossils and skeletons of dinosaurs. After Jan signed the contract, he whispered: “I plan to open the storage for the visitors regularly.” Curators and artists sometimes compete with each other to mutually improve. In 1999, the museum (S.M.A.K.) was finally built from the former casino. Jan invited me to do an explosion event for the opening. 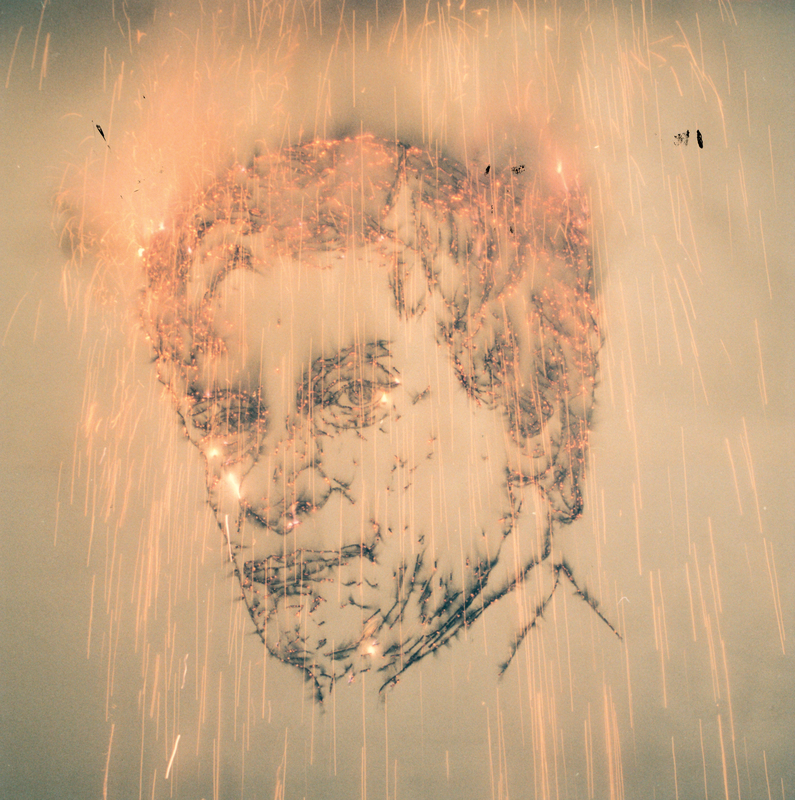 At the beginning, my idea was to roll the paper notes of the Belgian Franc to equal the budget of the artwork, fill the notes with gunpowder, and explode them in front of the entrance of the museum. After a while, he replied, “The Minister of Finance answered, saying that if you were to do this, at the very least, you would be imprisoned for life.” Then I had another idea: to use the amount of funds to buy soft chips from another casino and turn them into firecrackers. At the opening, we lit up the string of firecrackers. I stood under an umbrella, and the pieces of soft chips fell down like snowflakes. 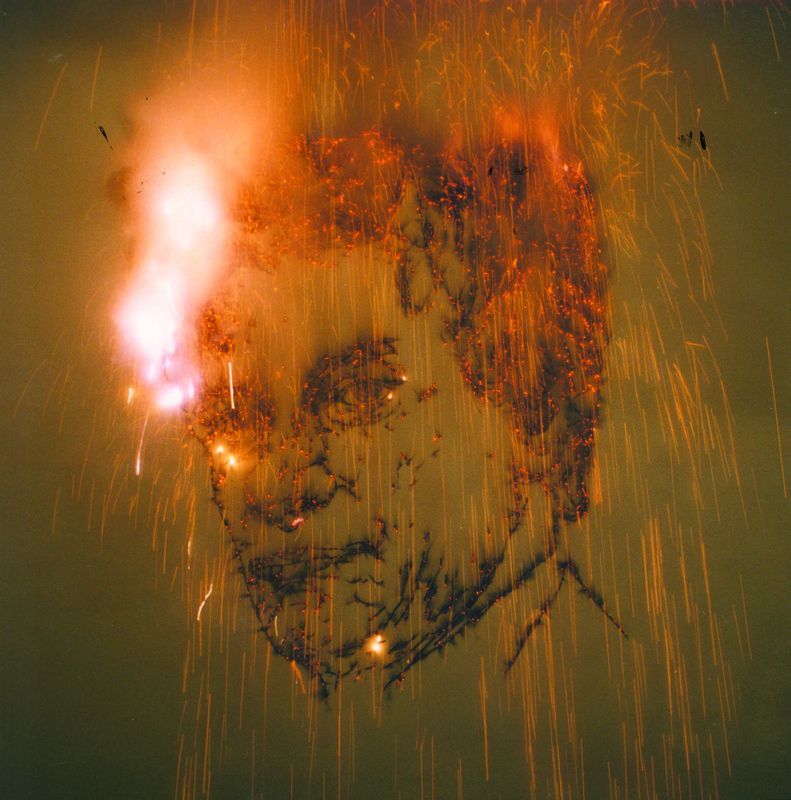 In 2003, before Jan left S.M.A.K., he curated a large-scale solo exhibition for me. In Ghent, and perhaps even in Belgium’s art wrk, he was like a god. He was the curator for Documenta in 1992, and he established S.M.A.K. For this exhibition, he wanted me to create something that could be both acquired by the museum and be viewed by visitors. 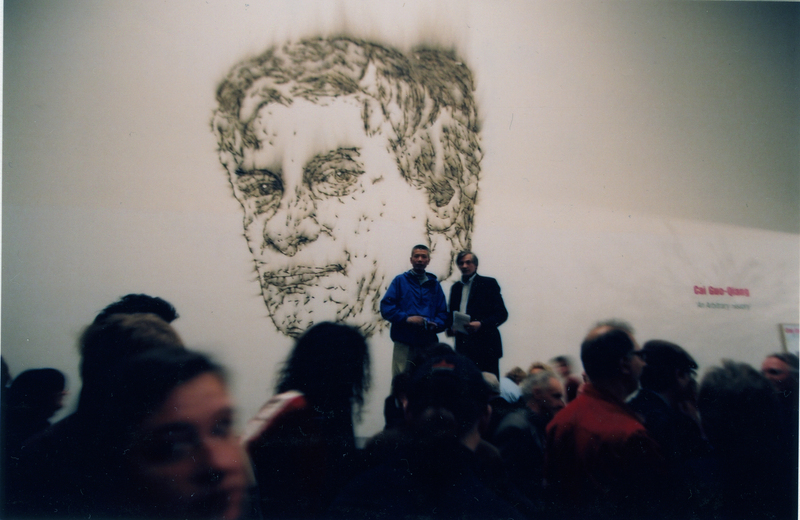 Therefore, I exploded his portrait on the wall behind the museum entrance; the piece was named Inheritance (2003). I wanted to see how long it would take the next director to remove Jan’s portrait. Inside the museum, I created An Arbitrary River, a river that connected different galleries. Sixty-year-old Jan rode on the yak skin raft in the river, unafraid of being humiliated and falling into the river. Before the new director started, Jan removed his portrait. He told me in advance, “I don’t want to burden the new director.” I responded, “That work was dedicated to you; you are the Director, and it is your decision to make.” Every time I travelled to Ghent to install exhibitions, I noticed that if he ran into a bunch of artists having dinner, he would discretely asked the restaurant owners to credit the dinner to his account. Sometimes if exhibition organizers were not able to include the artists he liked, or when the budget exceeded the limit, Jan would tell the organizer to give his portion of remuneration to the artists, so that they could realize their works. If he ran into someone trash-talking the artists he liked, he would rush to them—looking as if he was ready to fight them—and argue with them. For these reasons, the media were afraid of him. 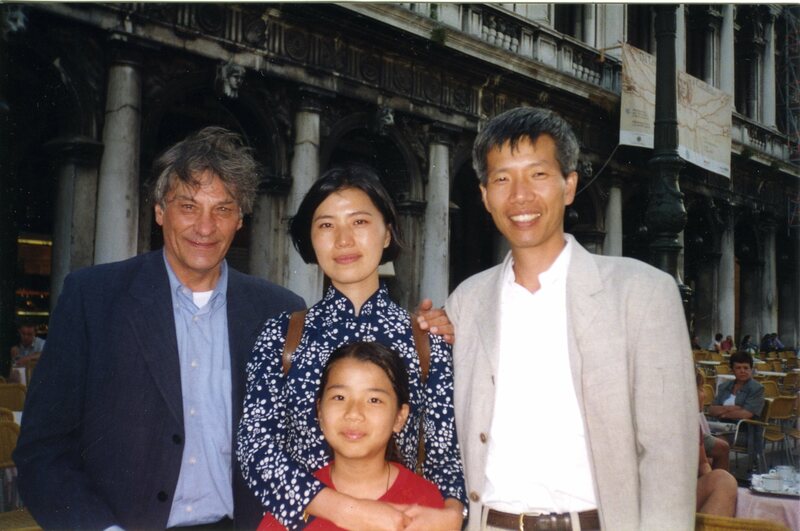 One time, when I was having an exhibition in Europe, I went to Ghent to see him. We met in the museum’s café, and all of a sudden, he asked me to go to hospital with him to see him undergoing dialysis; the single appointment took six hours. Although everyone was concentrating on watching television during this time, he could not stop talking about my art making. 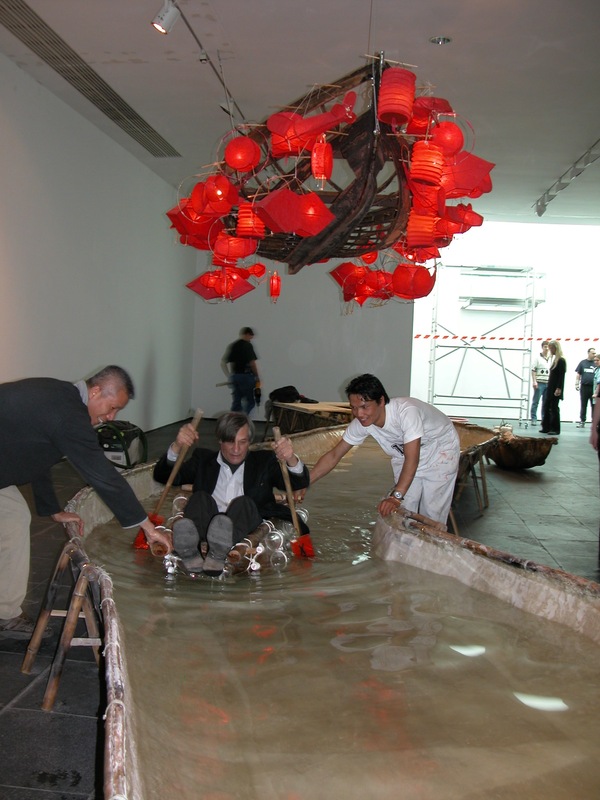 Cai Guo-Qiang assisting curator Jan Hoet riding raft on An Arbitrary History: River at S.M.A.K. Museum of Contemporary Art, Ghent, Belgium, 2003. I won the Golden Lion Award for Venice Biennale 1999. Jan was the curator for Belgian Pavilion. After the ceremony, I ran into him in Piazza San Marco. He hugged me, with tears in the eyes. At that moment, I was moved—more moved than I had felt when receiving the award.